Barcelona is due to ban the Niqab (Islamic face veil) in some public places by the end of the summer, 2010. The mayor of Barcelona, Jordi Hereu announced that the ban is purely for identification purposes to ensure public safety. However Alberto Fernandez of the PP Conservative Popular Party called for a ban in all public places and stated that the niqab is a violation of the freedom and dignity of women. The niqab has already been banned in Lleida and El Vendrell, despite the insignificant number of women who wear the veil. The mayor of Barcelona admitted that the ban was merely symbolic. In view of the mounting climate of Islamophobia in Europe with various bans on headscarves, mosque minarets, and now the niqab, many Muslims feel targeted and marginalised by their own government. Considering the ‘symbolic’ nature of the ban, Muslims feel that the Spanish authorities are hiding behind the rhetoric of security to pursue their Islamophobic policies. According to International Human Rights law, specifically article 18 of the International Covenant on Civil and Political Rights (ICCPR) the freedom to manifest religion and belief individually or with others is protected and considered fundamental to freedom of expression. Article 26 of the ICCPR outlines the right to non discrimination on the grounds of religion. Article 20 of the ICCPR states that international human rights law protects people against the promotion of religious hatred which amounts to incitement of discrimination, hostility or violence. Therefore various legal expert and human rights organisations deem this move to be in breach of the aforementioned articles and international law. As well as upholding the aforementioned human rights treatises, the government would have to outline why the ban is necessary, in order for it to be lawful. According to International Human Rights law, a government can only enforce such a ban when a three step process is met: they must be prescribed by law; they must address a specific legitimate purpose permitted by international law; and must also be demonstrably necessary and proportionate for that purpose. Since there is no causal link between security risks and a woman wearing the niqab, the ban is baseless. The European Court of Human Rights states the right to freedom of expression includes forms of expression “that offend, shock or disturb the state or any section of the population”. Therefore regardless of negative public opinion, the government has not presented sufficient evidence to ban the niqab. The Islamic Human Rights Commission is alarmed by the widespread anti Islamic rhetoric of various European governments that are now translating into policy and fears that hate crime will be on the rise as a result. Write to the following authorities requesting them to act against state inspired Islamophobia in Europe. A sample letter is given below for your convenience. Please note that model letters can be sent directly or adjusted as necessary to include further details. If you receive a reply to the letter you send, we request you to send a copy of the letter you sent and the reply you received to IHRC. This is very important as it helps IHRC to monitor the situation with regards to our campaigns and to improve upon the current model letters. It is preferable that letters be sent via post, or otherwise by fax and/or email. I’m deeply alarmed by the growing climate of Islamophobia in Europe with various bans on headscarves, minarets, and now the niqab, many Muslims feel targeted and marginalised by their own government. 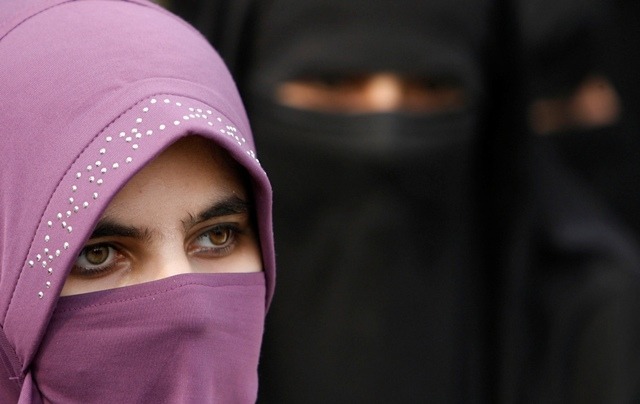 Barcelona is due to ban the Niqab (Islamic face veil) in some public places by the end of the summer, 2010. The mayor of Barcelona, Jordi Hereu announced that the ban is purely for identification purposes to ensure public safety. However Alberto Fernandez of the PP Conservative Popular Party called for a ban in all public places and stated that the niqab is a violation of the freedom and dignity of women. The niqab has already been banned in Lleida and El Vendrell, despite the insignificant number of women who wear the veil. The mayor of Barcelona admitted that the ban was merely symbolic. According to International Human Rights law, specifically article 18 of the International Covenant on Civil and Political Rights (ICCPR) the freedom to manifest religion and belief individually or with others is protected and considered fundamental to freedom of expression. Article 26 of the ICCPR outlines the right to non discrimination on the grounds of religion. Article 20 of the ICCPR states that international human rights law protects people against the promotion of religious hatred which amounts to incitement of discrimination, hostility or violence. Therefore various legal expert and human rights organisations deem this move to be in breach of the various treatises. As well as upholding the aforementioned human rights treatise, the government would have to outline why the ban is necessary, in order to be lawful. According to International Human Rights law, a government can only enforce such a ban when a three step process is met: they must be prescribed by law; they must address a specific legitimate purpose permitted by international law; and must also be demonstrably necessary and proportionate for that purpose. Considering that there is no causal link between security risks and a woman wearing the niqab, the ban is baseless. The European Court of Human Rights states the right to freedom of expression includes forms of expression “that offend, shock or disturb the state or any section of the population”. Therefore regardless of negative public opinion, the government has not presented sufficient evidence to ban the niqab. I look forward to your response on this urgent matter. You have announced that there will be a ban on the niqab (Islamic face veil) in some public places. The ban that you’re proposing has little justification and as you stated yourself it is only symbolic. However the Muslim community, who are deeply alarmed by the growing climate of Islamophobia in Europe with various bans on headscarves, minarets, and now the niqab, will feel like you’re targeting them through such legislation. Please review the legislation as I don’t feel it would be conducive to community cohesion.